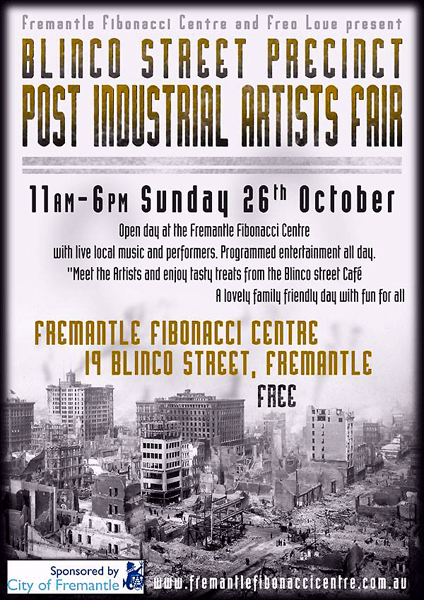 It’s going to be a fibulous Sunday at the Fremantle Fibonacci centre in Blinco Street. The arts incubation centre will have its open day for the Fremantle Festival, so go say G’day to graffiti mistress the delightful Lady Bananas, and the maker of exquisite prints Junko Kitamura, who is quite exquisite herself. Not into gorgeous women? What about the master of macho Robby Lang and his powerful steelworks. Open from 11-6 this Sunday!